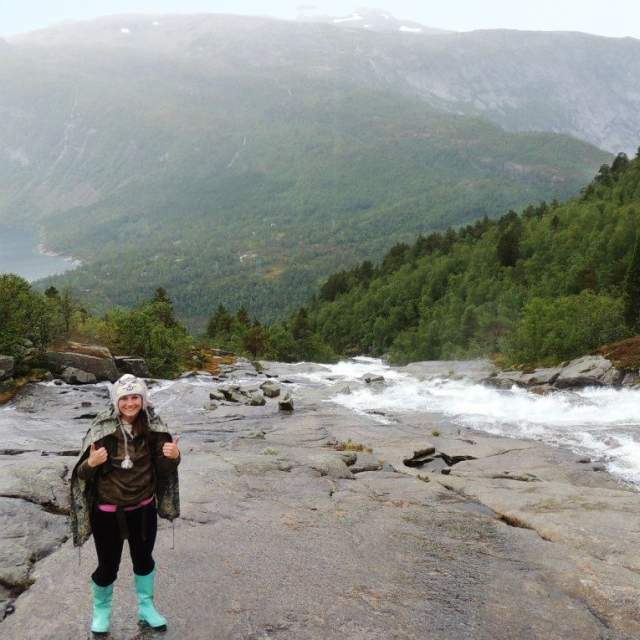 The young American traveler Addie Minnis was overly confident before tackling Norwegian nature. That could have ended really, really badly. 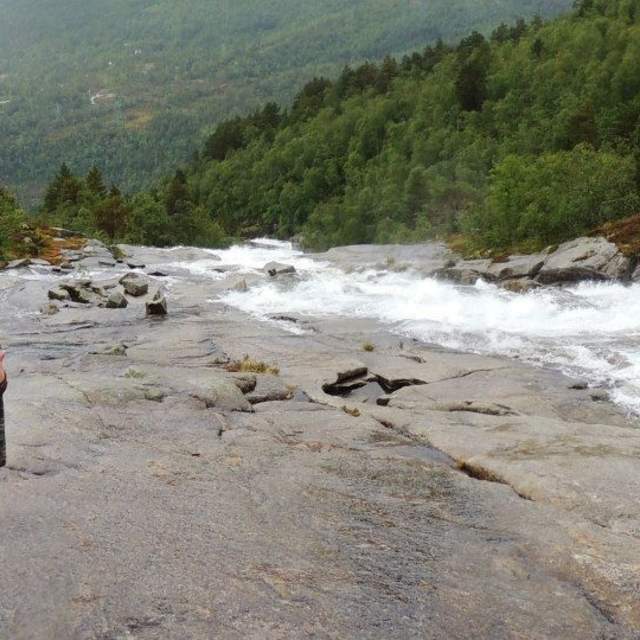 That’s how 23-year-old Addie Minnis begun her blog post about her trip to the iconic Trolltunga. Trolltunga is one of the most stunning natural viewpoints in Norway, a cliff formation situated about 1,100 metres above sea level. However, getting there requires a demanding hike, and every year there are search and rescue operations for hikers in serious trouble. Addie didn’t know that. 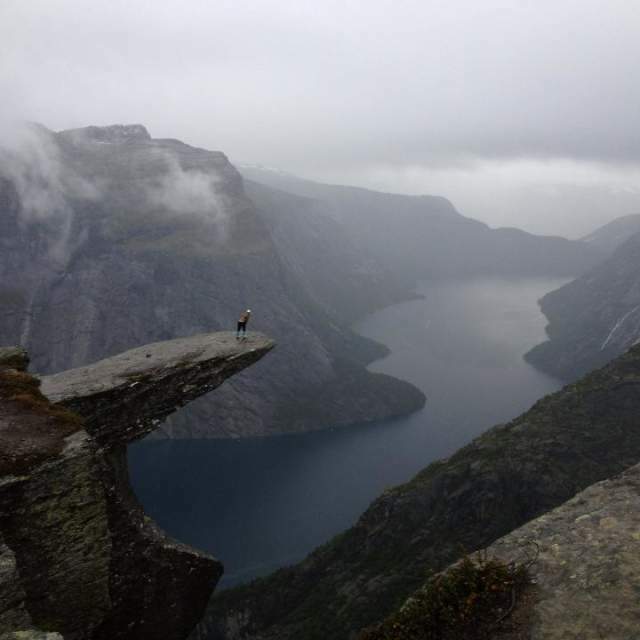 She set out without doing proper research, after discovering a beautiful image of Trolltunga on the photo-sharing website Pinterest. After all, she was young, well trained, and going with two young men who were also experienced travellers. What could go wrong, right? “I should have learned more about it. We would have been able to anticipate weather changes and different difficulties throughout the hike”, Addie says. Trolltunga is one of the most stunning natural viewpoints in Norway, a cliff formation situated about 3,600 feet above sea level. However, getting there requires a demanding hike, and every year there are search and rescue operations for hikers in serious trouble. Addie didn’t know that. She set out without doing proper research, after discovering a beautiful image of Trolltunga on the photo-sharing website Pinterest. After all, she was young, well trained, and going with two young men who were also experienced travelers. What could go wrong, right? , or how the climate will change higher up in the mountain. Another mistake was wearing the wrong kind of footwear. Addie was wearing rain boots, that constantly felt like they were going to fall off. The guys wore running shoes. No one went for hiking boots. “I expected it to be an easy two-hour hike. Consequently, it ended up being a very rushed and dangerous journey that could have potentially ended with hypothermia or death”, writes Addie. 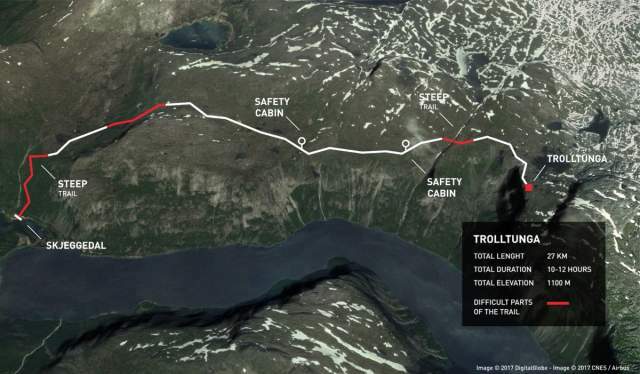 If the conditions are hard, the trip can take up to 10 hours to complete, a lot more than the two hours they had envisioned. Slippery shoes, exhaustion and a shortage of food made the trip uncomfortable. But that was nothing compared to the freezing conditions. “I got really scared. I’ve never been close to getting hypothermia, so I thought I was surely going to die. When it gets to the point where you can’t feel any of your fingers or toes it makes you realise that you certainly are not invincible. I thought for a little bit that I was surely going to have permanent damage, but luckily I escaped with none”, Addie says. Yet, she hopes to be able to visit Trolltunga again. Now, however, she is going to prepare properly. “I’m absolutely going to visit Norway again in the future. I always tell all my friends and family that it’s my number one favourite spot in the world, and encourage them to go visit”. “I got really scared. I’ve never been close to getting hypothermia, so I thought I was surely going to die. When it gets to the point where you can’t feel any of your fingers or toes it makes you realize that you certainly are not invincible. I thought for a little bit that I was surely going to have permanent damage, but luckily I escaped with none”, Addie says. “I’m absolutely going to visit Norway again in the future. I always tell all my friends and family that it’s my number one favorite spot in the world, and encourage them to go visit”. Safety personnel are usually present at the parking lot to help you make sure your outfit is adapted to the demanding hike. Despite this, local rescue crews yearly perform several operations. Amongst the more dramatic ones was the rescue of a mother who had tried to carry her one-year-old son in a child carrier. Both of them had symptoms of frostbites when they were found. In the last years, the number of visitors to Trolltunga has been increasing significantly. 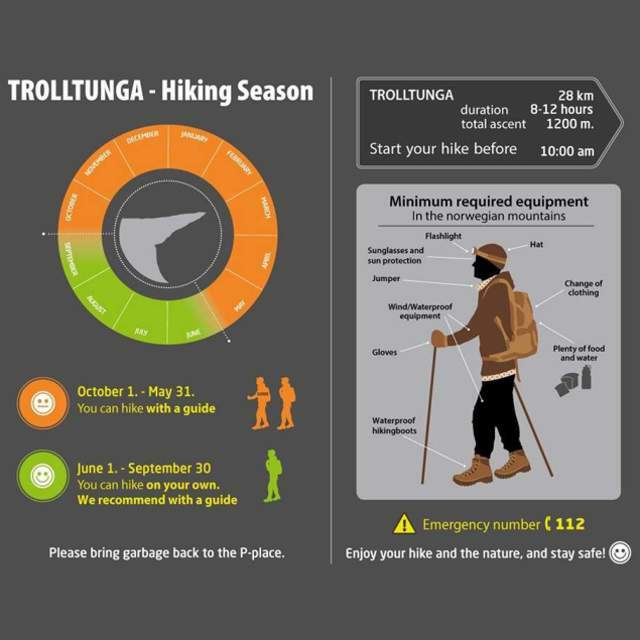 Please be advised that you can normally hike to Trolltunga from mid-May until mid-September, but not during winter.